4.Which of the following is true statement? 6. A coil connected to a battery is kept near another coil connected by galvanometer. The switch is closed and current is flowing. The galvanometer is observed. Then the switch is open, again galvanometer is observed. Which of the following is true about both observations? 10.Which of the following is false color coding for wires used in our home? Use Flemings Left Hand rule. The current carrying solenoid acts as bar magnet. A electric motor converts electrical energy into mechanical energy. A generator does the opposite. 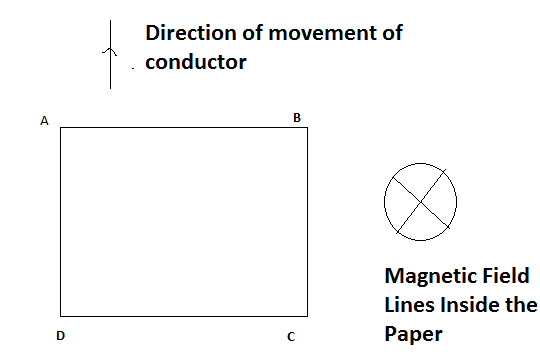 Electromagnetic induction take place when there is relative motion between conductor and closed loop. 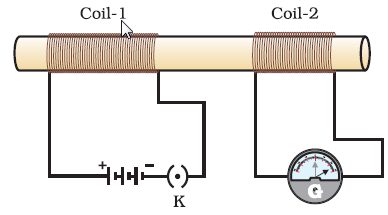 A coil connected to a battery is kept near another coil connected by galvanometer. The switch is closed and current is flowing. The galvanometer is observed. Then the switch is open, again galvanometer is observed. Which of the following is true about both observations? The direction of induced current changes when direction of relative motion changes. Use Flemings right hand rule. 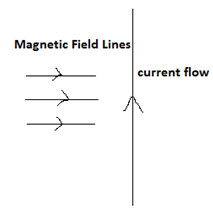 There is no change in magnetic field produced by coil 1 on coil 2, when constant current is flowing through it. When constant current is flowing through coil 1, there is no change in magnetism. Which of the following is false color coding for wires used in our home?